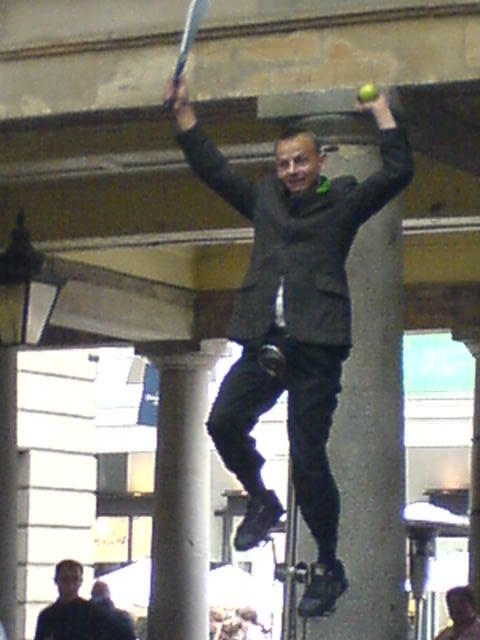 This street performer is throwing knives and eating an apple. The crowd loved it. I ran into him later in the afternoon and took a photo of his puppy. 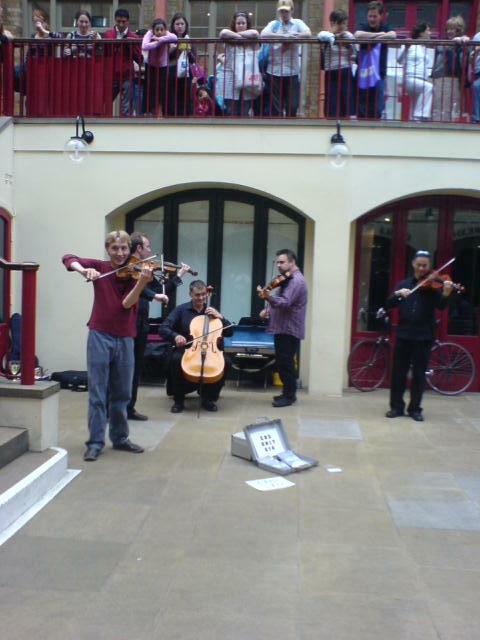 This is one part of Covent Gardens where you can always see some truely talented musicians and singers. 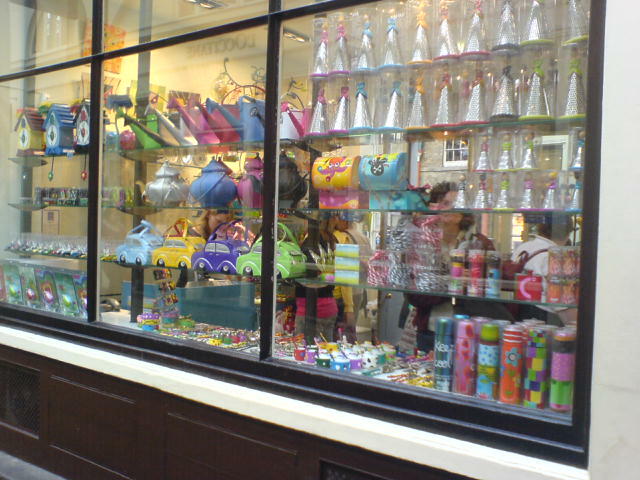 It gets really packed on the weekends. The dog in your photograph, looked like a brindled staffordshire bull terrier. They are banned in ontario and Manitoba. 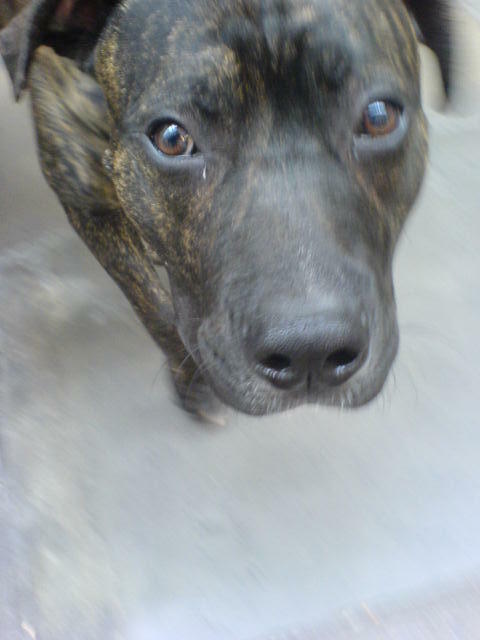 One of the dog trainer has a little brown and cream pit bull, but he lives outside winnipeg (her name is Maggie).